Invitations cards are the first thing that comes to mind when it’s about cordially inviting guests to be part of the get together. It gives guests the first glimpse of the grandeur of the occasion. 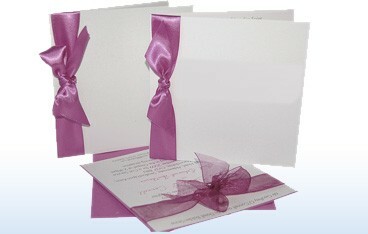 A beautiful invitation will make them feel honored to be invited to the ceremony. We, S S Graphics offer you a complete invitation card printing solutions. You can go through our magnificent invitation card design for every occasion whether it is wedding, engagement, birthday, housewarming party, we will happily customize it to meet your requirements. Along with this we have “Save the date cards” for informing your guest in advance to work out time for the ceremony and “Thank you cards” for thanking them from the core of the heart for gracing the occasion with their magnificent presence. We will print for you contemporary as well traditional invitation cards that will add richness and sophistication to your ceremony. S S Graphics are a reliable name when it comes to invitation card printing; we have created a niche in the invitation card printing industry with our unique design, supreme quality and affordable price. Our vast experience, the latest technology and customer service have helped us to make a loyal customer all over the world. Now here is a golden opportunity for you to make the ceremony really special and memorable for yourself and guests with our beautiful invitation cards. Flat Card 3.5" X 5"
Flat Card 4.25" X 6"
Flat Card 5" X 7"
Size 5" X 7"/Folded Size 3.5" X 5"
Size 6" X 8.5"/Folded Size 4.25" X 6"
Size 10" X 7"/Folded Size 5" X 7"
Invitaion Cards Printing is Easy! An attractive invitation design will capture the essence of your event and share important information with prospective clients. You may send flat or folded invitations depending on your requirement.Folded invitations are for more intimate gatherings while flat invitations are for brief messages, and are better if you want your audience to get all the important information right away. Folded invitations are normally for when you need more space for text or graphics. Size : Choose an Option... Flat Card 3.5" X 5" Flat Card 4.25" X 6" Flat Card 5" X 7" Size 10" X 7"/Folded Size 5" X 7" Size 5" X 7"/Folded Size 3.5" X 5" Size 6" X 8.5"/Folded Size 4.25" X 6"